Water bill payments are due monthly, on the 27th of each month. A late fee of $5.00 will be added to your bill automatically the morning of the 28th. If you are having trouble paying your bill, call our office today at 724-628-2930. We encourage our customers to stop by and make their payments at our office. We are located right off Route 119 on Moyer Road in Connellsville, Pennsylvania. Office Hours are Monday through Friday, 9:00 a.m. to 4:30 p.m. Items needed to make a drop box payment include: your payment (either check or money order) and the payment stub from your current bill. Please make checks payable to: Pleasant Valley Water Authority or to PVWA. 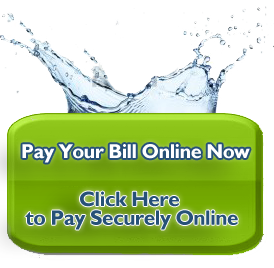 Automatic payment is a service offered to Pleasant Valley Water Authority customers free of charge. Fees, however, will apply if sufficient funds are not available to cover your request. Though we enjoy having personal contact with the people we serve, we also know the convenience of paying on-line without leaving your home is gaining in popularity. Looking to the future, we are taking steps to create a bill and payment system option on our website. Service fees (i.e. turning water on or off, maintenance, etc.) are variable depending on the situation. Call our office at 724-628-2930 for more information on service fees.